Millions of dollars worth checks are to be mailed as soon as today to RNs from Lourdes who missed breaks between June of 2009 and Mach of 2013. 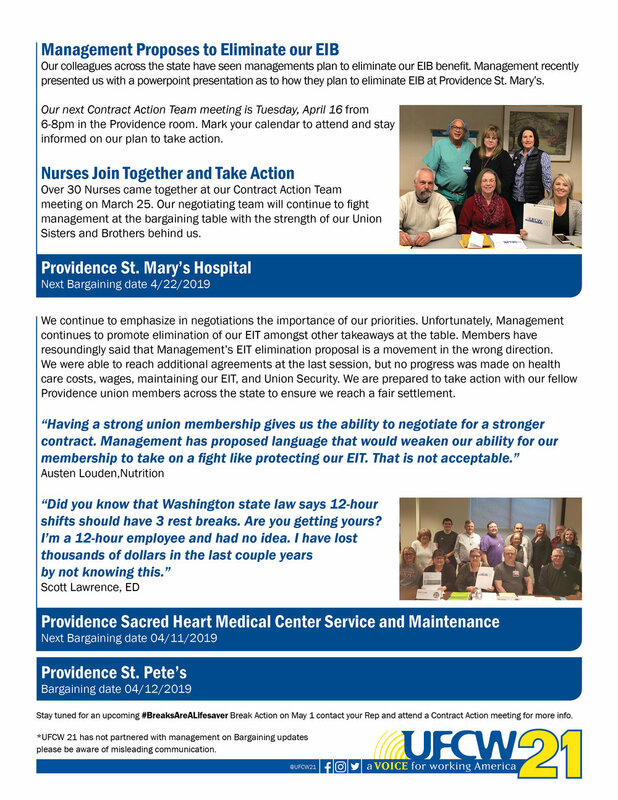 In June 2012, four Registered Nurses filed a lawsuit claiming that Our Lady of Lourdes Hospital failed to ensure nurses could take rest and meal breaks, and record missed breaks as hours worked in violation of Washington law. Their employer denied it did anything wrong and aggressively defended the lawsuit. On March 10, 2013, the Hospital revised its breaks policy. The nurse Plaintiffs amended their lawsuit to cover a period of time from June 25, 2009 through the Hospital’s policy change on March 10, 2013. 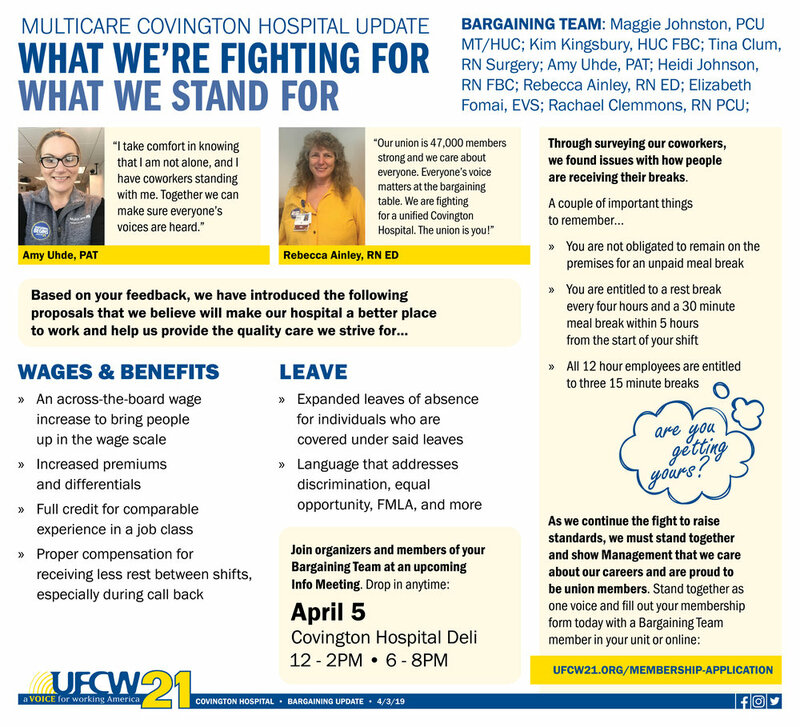 After a lengthy legal battle supported by UFCW 21, including a successful appeal to the Washington State Supreme Court, the four nurses’ lawsuit was certified as a class action. The class representatives negotiated a settlement with the Defendants that included a $5,000,000 common fund to be used for expenses, costs, administrative fees, attorneys fees, and to be divided between RN’s based on hours worked between June 25, 2009 and March 10, 2013. The settlement was reviewed by the judge and signed as an order on March 1, 2019. 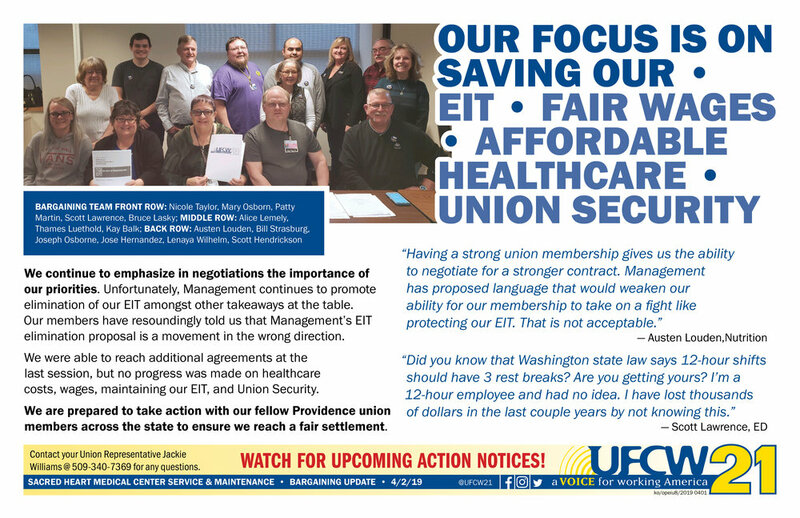 When workers have a union, it allows for us to take action together. 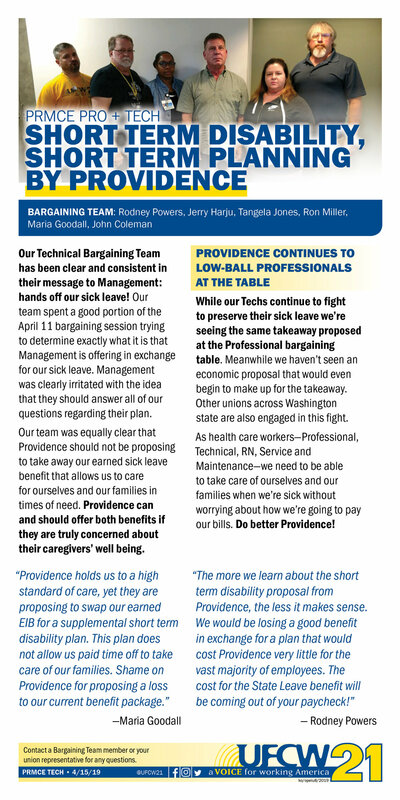 In this case, four nurses took action together to protect their rights to meal and real breaks. And then we won the ability for all the nurses in question to have a right to join together in a class action lawsuit. This is a wonderful victory to right a wrong that started nearly a decade ago. And we hope it will send a message to all employers across the state that they need to follow the law and provide meal and rest breaks for their employees.